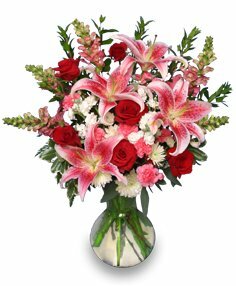 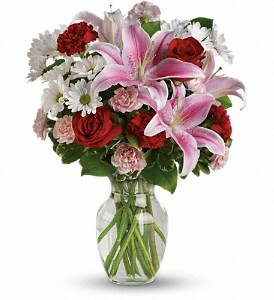 Put stars in her eyes with this magnificent bouquet featuring fragrant, fabulous stargazer lilies. 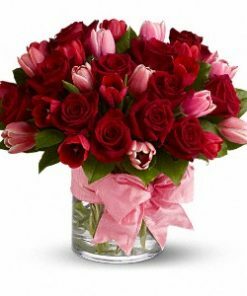 There’s nothing sweeter – except maybe your lady love herself. 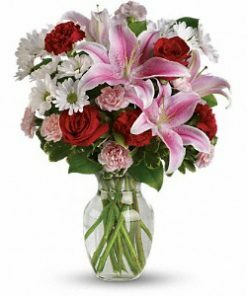 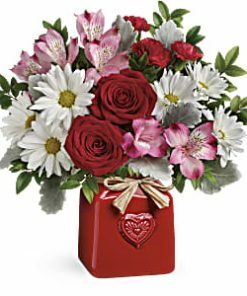 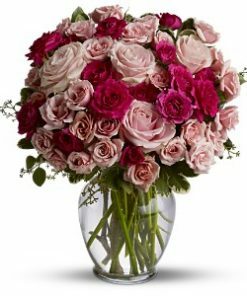 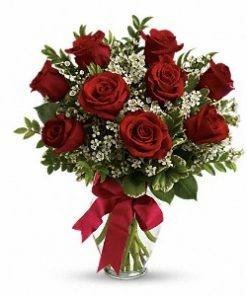 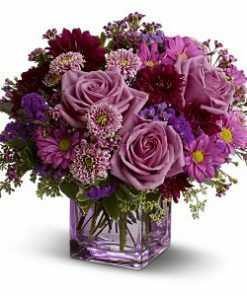 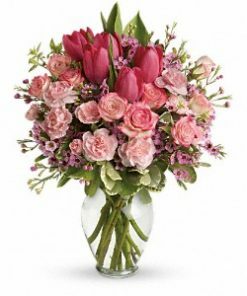 Blooms of red roses, pink oriental lilies, red carnations, light pink miniature carnations and white daisy spray chrysanthemums accented with assorted greenery. 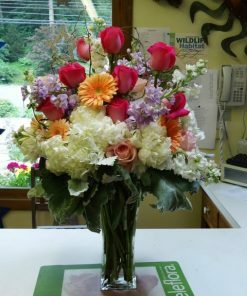 Arranged in a clear glass rose vase.